In November of 1983, “Under a Blood Red Sky” was released commercially. To promote the live album, promotional records were issued in the US to promote this release. A commercial single was also released. The 7-inch vinyl promotional single was released in a generic red sleeve, and featured “I Will Follow” taken from “Under a Blood Red Sky” on both sides. The A-side was the song as it appeared on the album. The B-side of the record was labeled “I Will Follow (Special Remix for Radio)”. An accompanying letter, dated December 5, 1983 explained the two different mixes: “Please be aware that there are two (2) mixes on the enclosed U2 single. As indicated, one side is taken directly from the U2 mini LP, “Under a Blood Red Sky.” The other side is the same basic mix, with the only difference being reduced crowd noise for a potentially better programming flow. 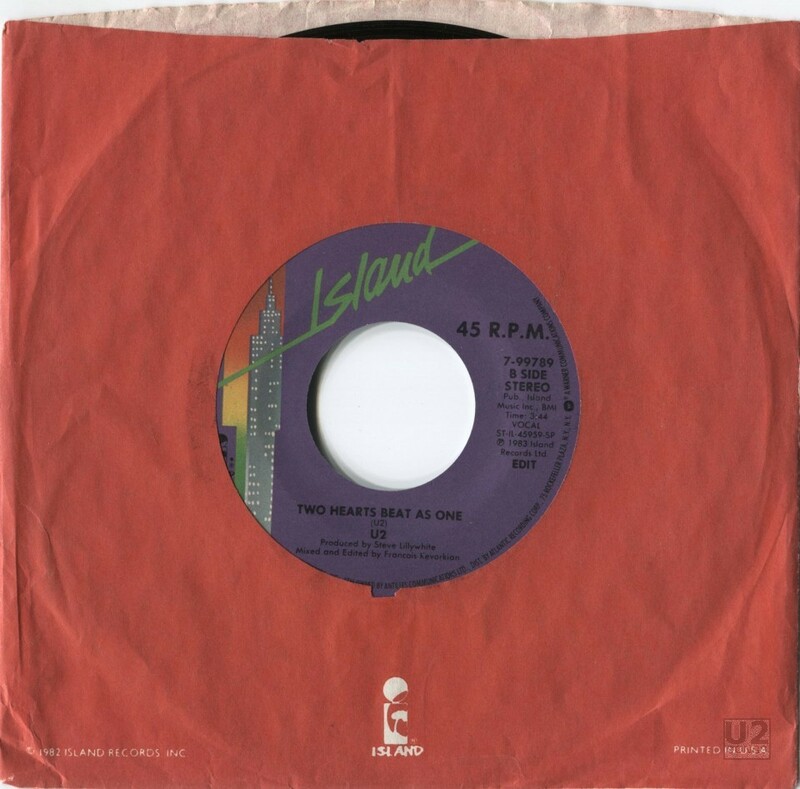 U2 is hot – so is the single!” The leter was signed Michael Abramson, VP of Promotion for Island Records. A 12-inch vinyl promotional record was also released in the USA, this one featured the title track on both sides again, but this time it was the same mix. The 12-inch single was released in a white generic sleeve with a sticker that listed the catalog number and the track title. The sticker was black, with white text. Another 12-inch vinyl release in Brazil was made up of a variety of artists, and featured “I Will Follow” from “Under a Blood Red Sky” along with the following: “Sleeping Bag” by ZZ Top, “Tonight She Comes” by the Cars, “Hold On” by Yes, and “I Will Follow” was the final track. It was labeled “Promo No. 72”.